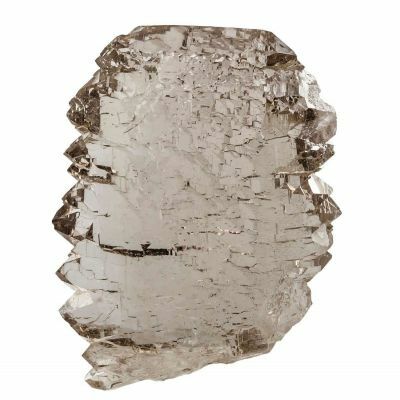 5.3 x 2.1 x 2.0 cm (Specimen); 8.15 carats; 11.84 mm (Gem) - A great "inclusion" rough and cut set that features lovely green acicular "needles" of Actinolite inside of colorless WATER-CLEAR Quartz. 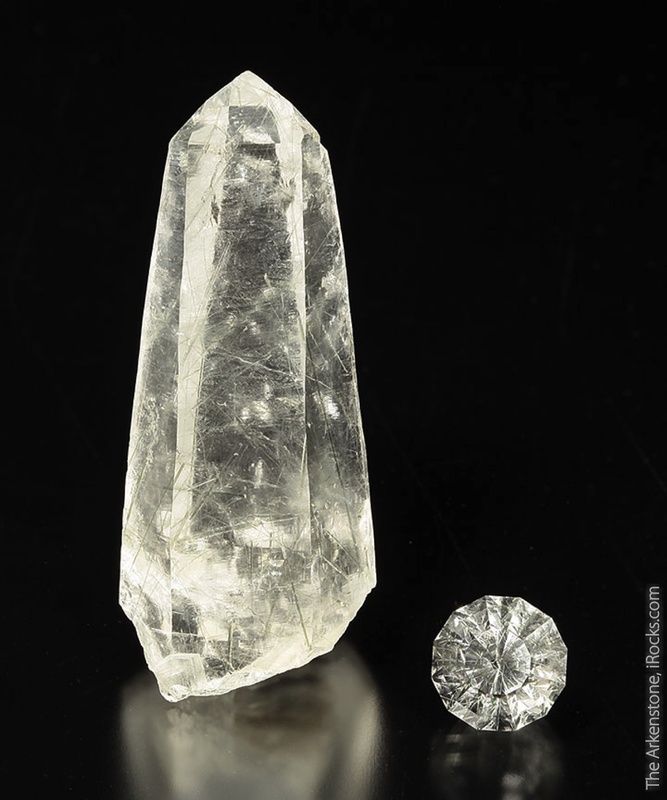 Both the crystal and the gem shows the same material, and these pieces obviously must have come from the same discovery due to their similarity. 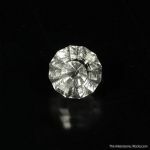 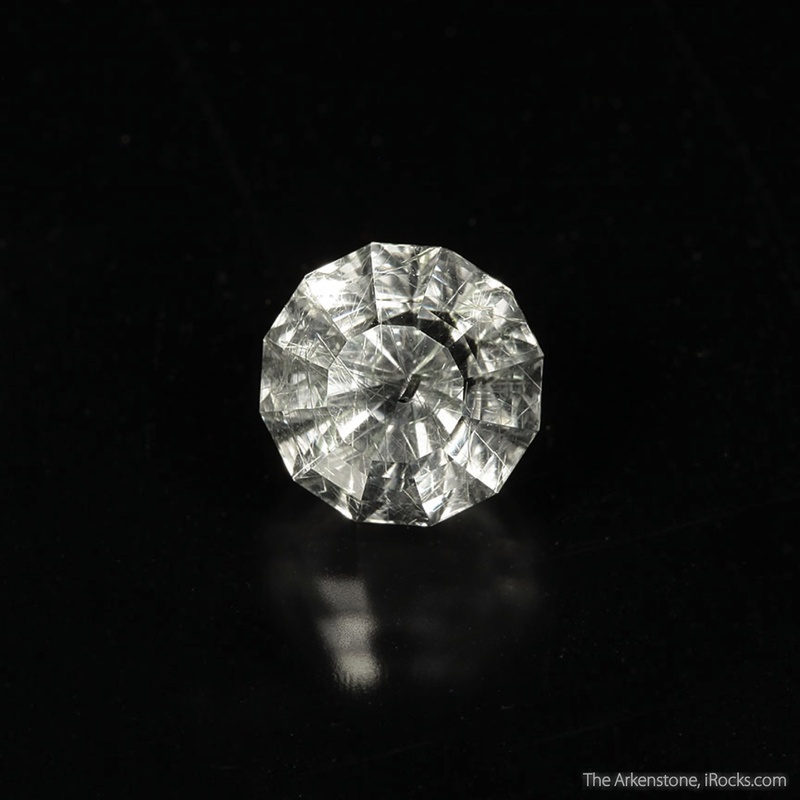 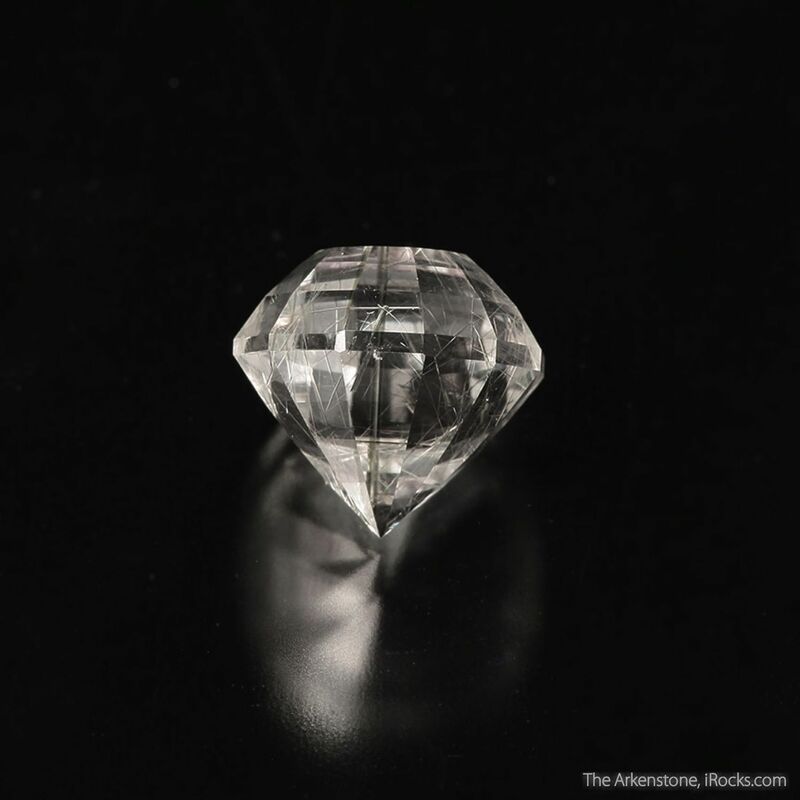 The gemstone has a fairly basic "Round Step" cut on it, but the Actinolite "needle" is positioned so it's dead center, and when viewed directly from above the table, the needle is reflected on all sides of the gem like a kaleidoscope. 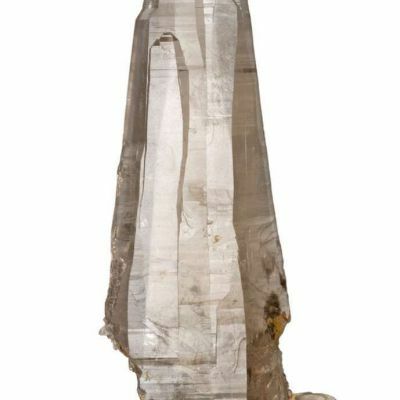 It's very difficult to illustrate this in the photos, but it's easy to see in person. 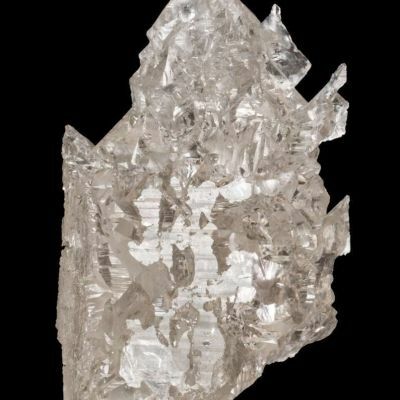 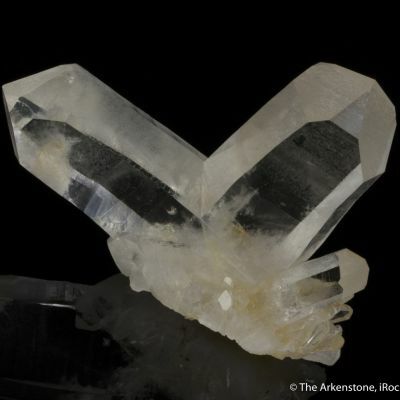 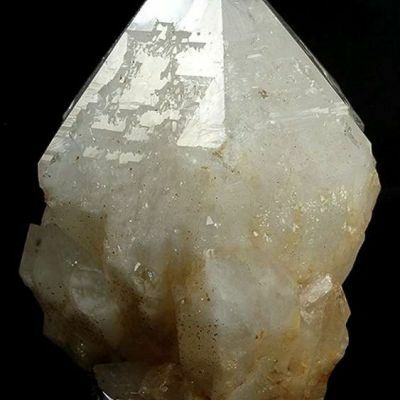 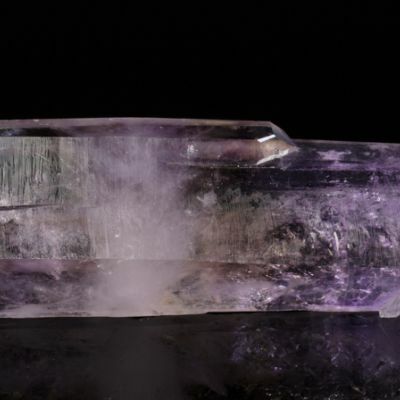 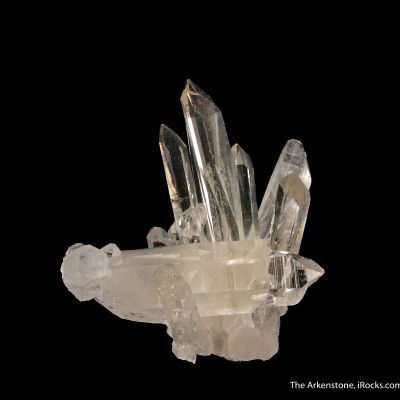 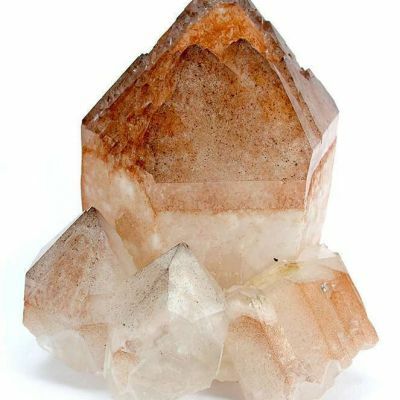 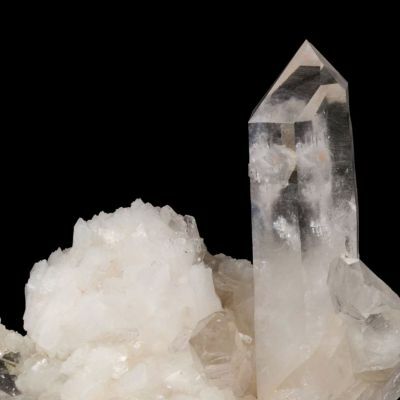 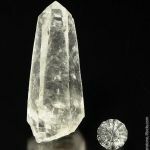 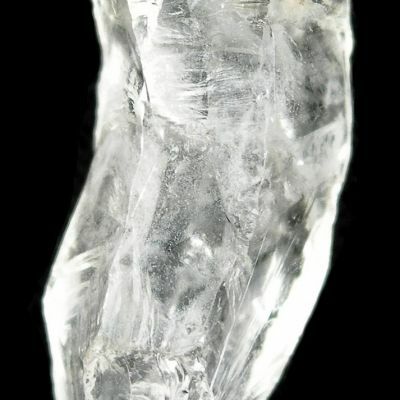 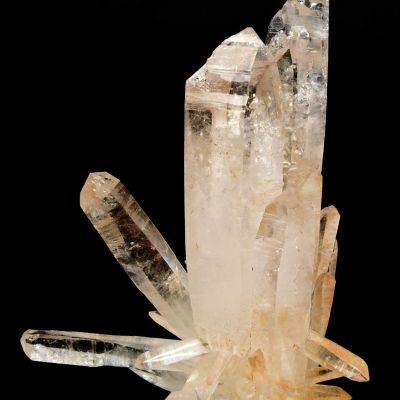 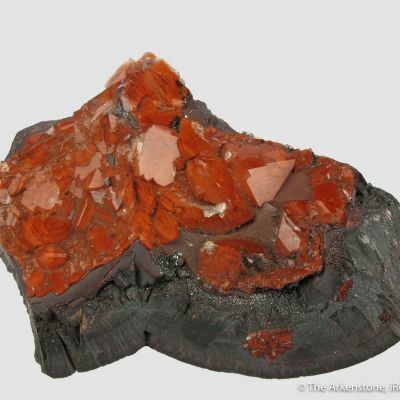 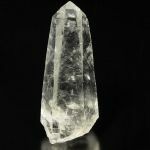 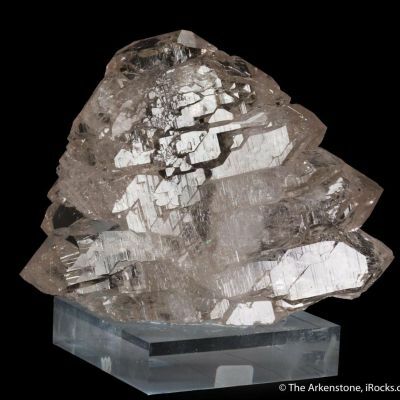 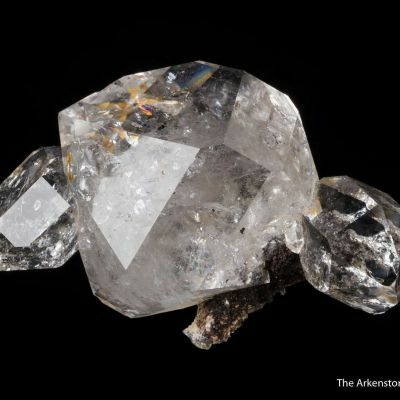 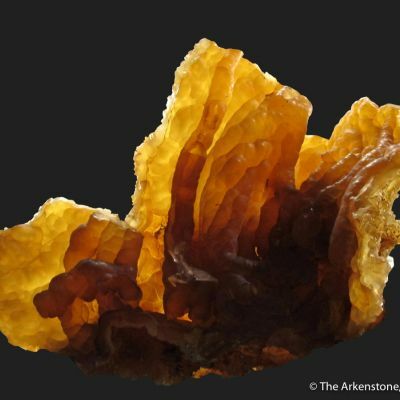 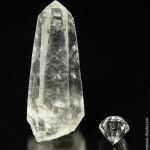 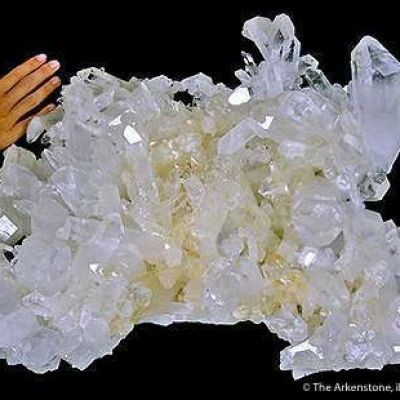 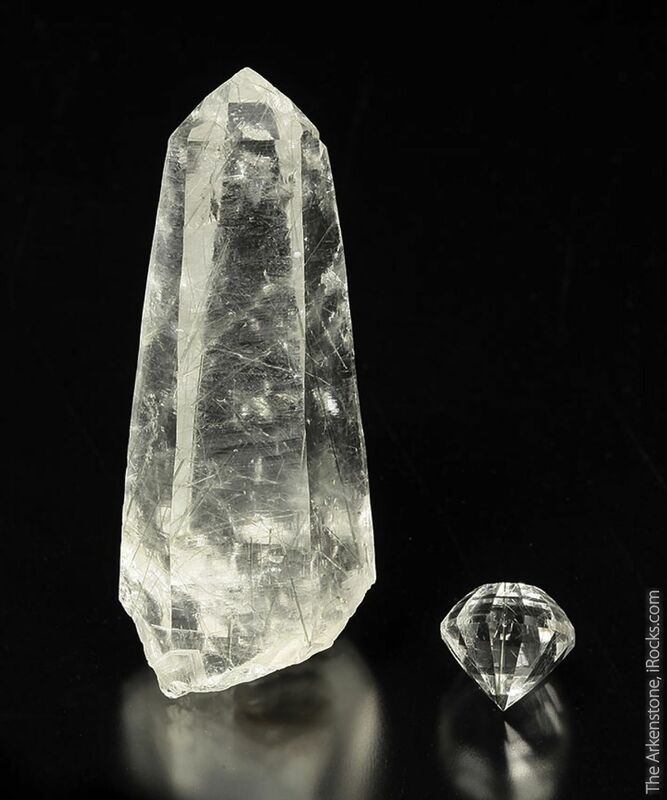 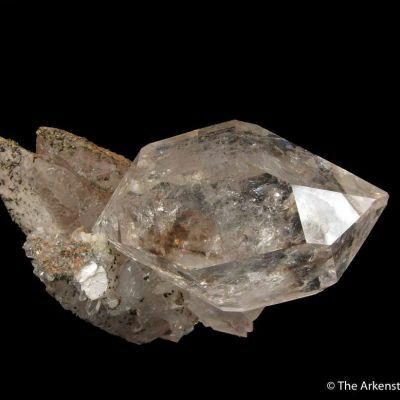 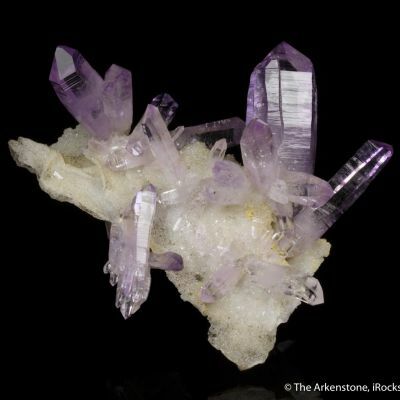 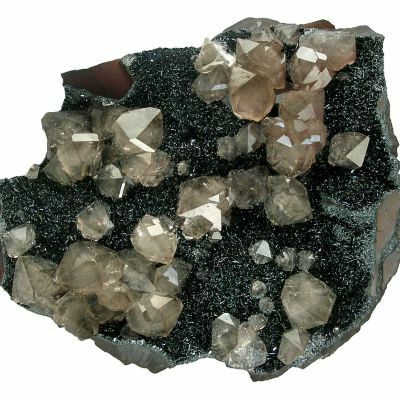 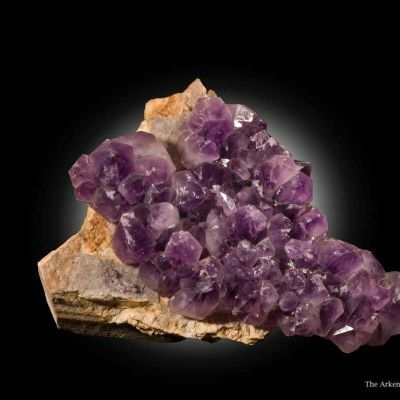 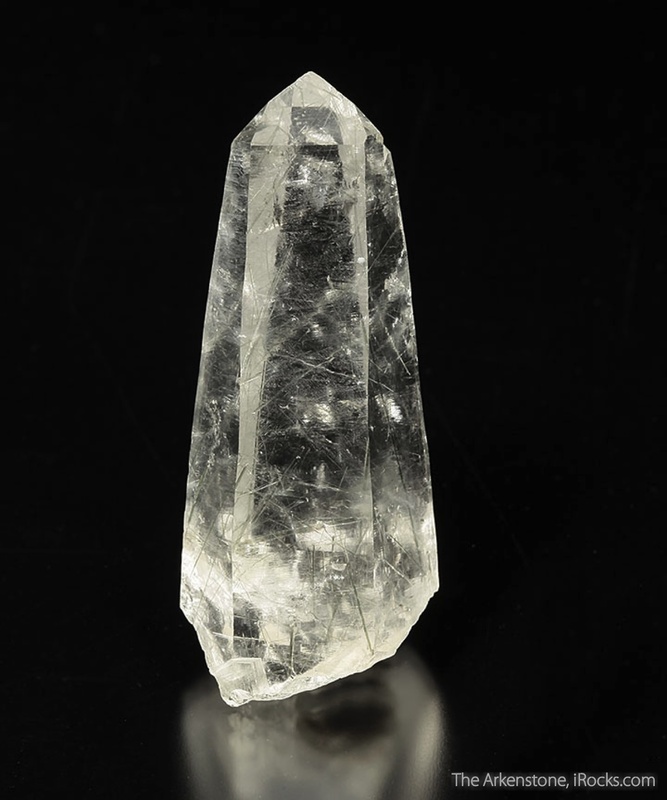 The crystal is a single hexagonal prism of Quartz with several "wispy" Actinolites included near the base.